There are quite a few ten-year celebrations happening this month, but none are as GIANT as this. There are a few 10-year celebrations happening in 2018. It’s 10 years since the launch of the iPhone 3G, 10 years since the first episode of the Inbetweeners previewed, and 10 years since Barack Obama became the first African-American president of the United States. 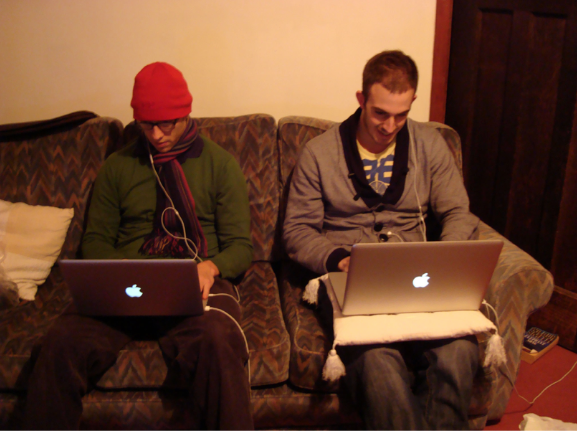 It’s also 10 years since Luke Quilter and Anthony Klokkou decided to launch a digital marketing agency that would bridge the gap between providing technical know-how paired with unbeatable customer service. And just like that, in the middle of the credit crunch, at a dining room table, Sleeping Giant Media was born. 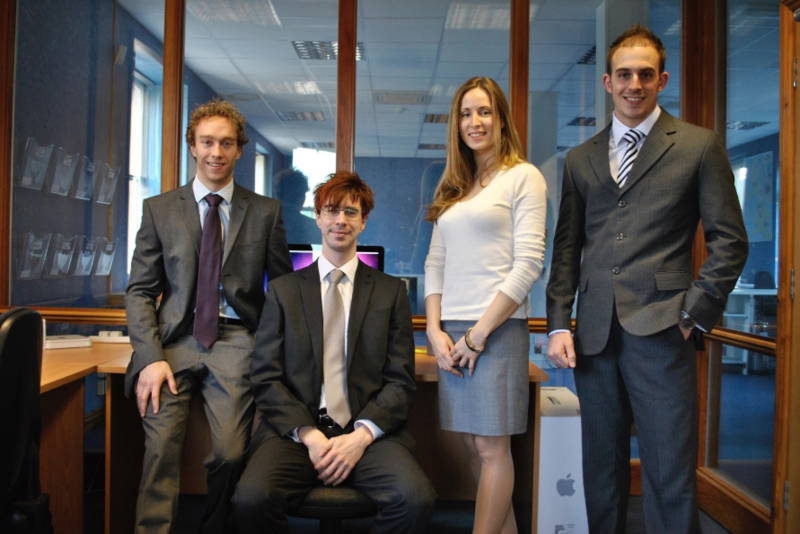 Sleeping Giant Media is a search and social digital marketing agency, based on the coast in Folkestone. That’s the business speak, anyway. To the people that really know us, we’re the company with the ball pit for a meeting room, the pretty out-there unlimited holiday policy, and the Friday beer ‘o’clock. We’re the company who like to make funny videos, get out to events and meet people, and who provide training and talks on everything from audience research and local SEO to cutting the crap out of your social media. 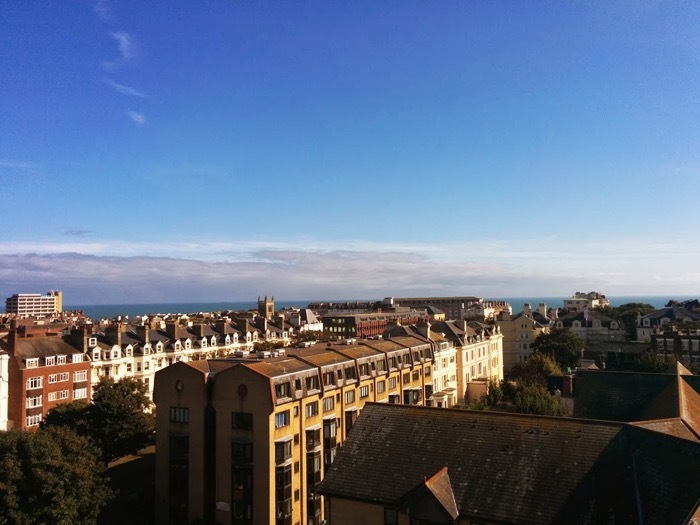 SGM is also the agency looking to put Folkestone on the map in the digital world. People that know about digital marketing know that London is the typical stomping ground. Clients flock to the bright lights of the big city to find the companies that are going to make all of their dreams come true. What we argue, however, is that you can find that much closer to home. The South East coast has got tons to offer in terms of businesses doing awesome things, and we’re proud to be a part of it – employing nearly 50 people and working with everyone from local startups to the mighty Google. And we enjoy some epic views of the English Channel while we do it. When it comes to business success, there are some worrying stats out there. One declares that 96% of businesses fail within 10 years, while another says that four in 10 companies never make it past their fifth birthday. Another states that 20% of businesses never even make it to their first birthday. Now that really is depressing. The road to 10 years has indeed been quite the journey. “It’s felt like an exhilarating ride that has been immensely challenging, but also hugely rewarding – and as such, it has flown by!” says Ant, our MD. This ride has been punctuated with tons of epic experiences that have become some incredible memories, from the first award win at the KEIBAs in 2011, to Luke being selected to carry the Olympic torch in 2012 – a massive honour. 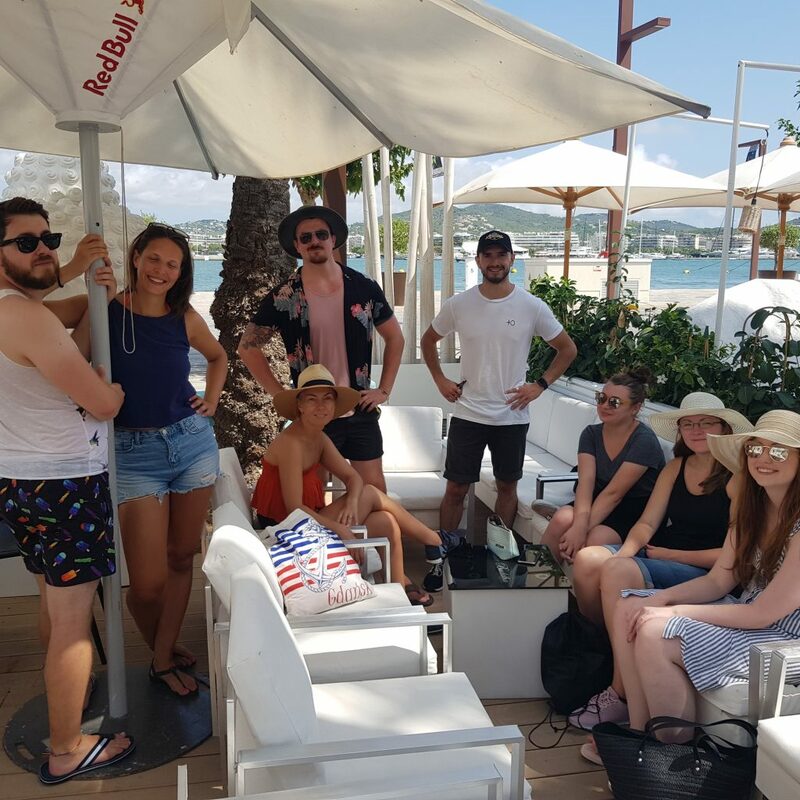 Whisking the whole team off to Ibiza also deserves a special mention, allowing us to “spend time with people that are more than just colleagues”. When asked about more epic memories, Luke and Ant both mentioned the pivotal moment that the phone rang for the first time – and the first GIANT team member answered it using “Hello, Sleeping Giant Media?” – still in Luke’s parents’ house. The moment where it all started to feel a bit more real. So, if you could jump in a time machine, scoot back 10 years and meet your younger self on the verge of starting a shiny new business, what advice would you give them? Sleeping Giant Media is special. It’s a one-of-a-kind business that prides itself on its people – and its people are proud to be a part of the team. I asked the inhabitants of GIANT HQ to sum up the heart of SGM in one word – and they didn’t disappoint. To the people that call SGM family, and the people that call Castle Hill Avenue home 5 out of 7 days a week, Sleeping Giant Media is progressive, effective and exciting. It’s happening and unique, dynamic and people-centric. It’s quite often purple, and always fantastic. It’s eclectic and multi-faceted and fun. It’s GIANT. 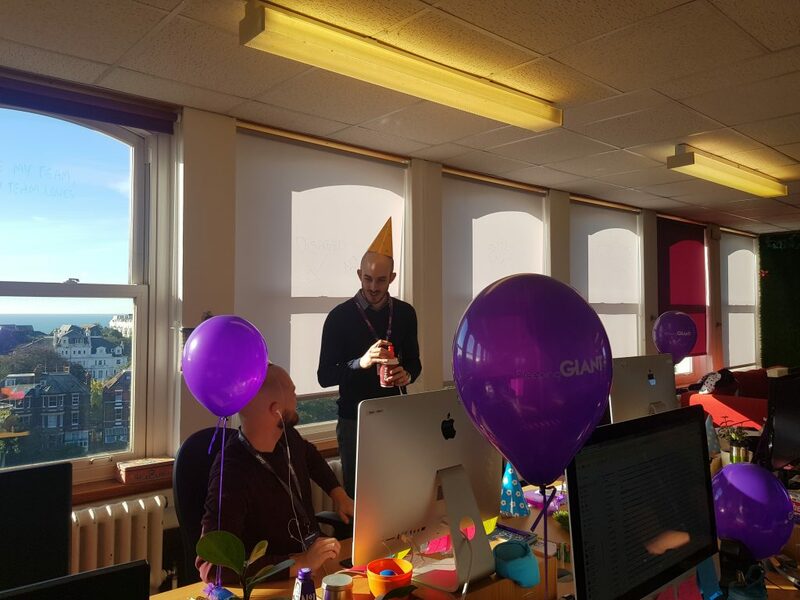 All involved at SGM would like to send a GIANT thank you to everyone who has helped us get here – to Luke and Ant for taking the leap, to the epic team who GSD every single day, and to our clients who give us purpose. Happy birthday Sleeping Giant Media. Here’s to another 10 years. 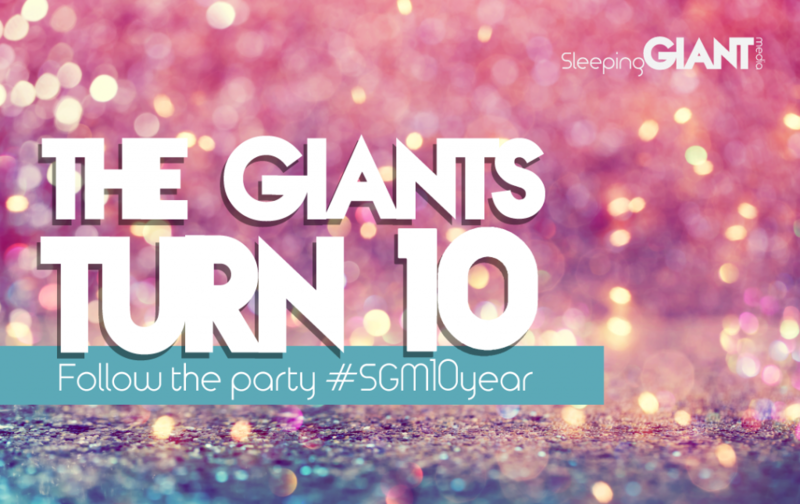 Follow our hashtag to see everything we get up to #SGM10year and read more about how we’re celebrating our birthday.